Resilience is defined as “the ability to recover from illness or adversity.” We all face various degrees of adversity in our life. Therefore, resilience is an extremely important quality to cultivate. 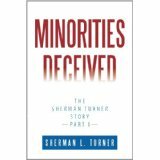 Sherman Turner is an outstanding example of resilience. 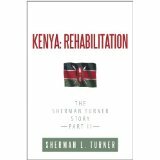 He has chosen to share his remarkable story in two books – Minorities Deceived and Kenya: Rehabilitation. His story inspires hope and helps readers to develop determination to overcome all obstacles. New from Tom Clancy - "Dead or Alive"